I, like a lot of adults, grew up watching Yogi Bear re-runs weekday afternoons after school with some sort of snack while I put off doing my homework. 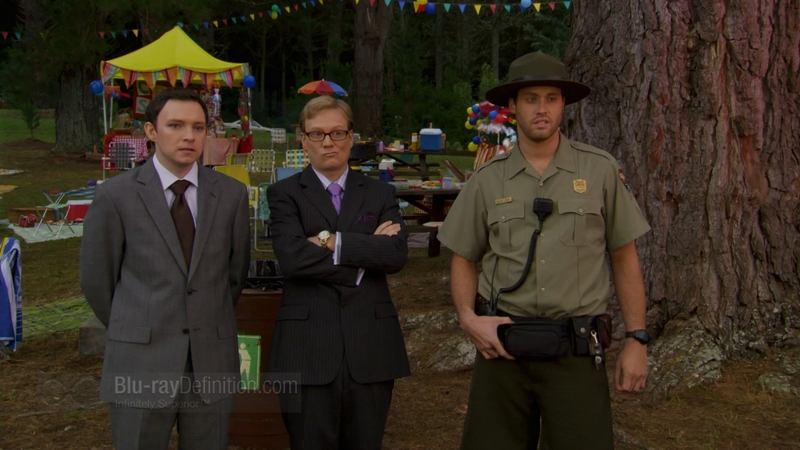 I couldn’t tell you what exactly it was about the mischievous talking bear fond of stealing pic-a-nic baskets that intrigued me so much, but I loved the show nonetheless. 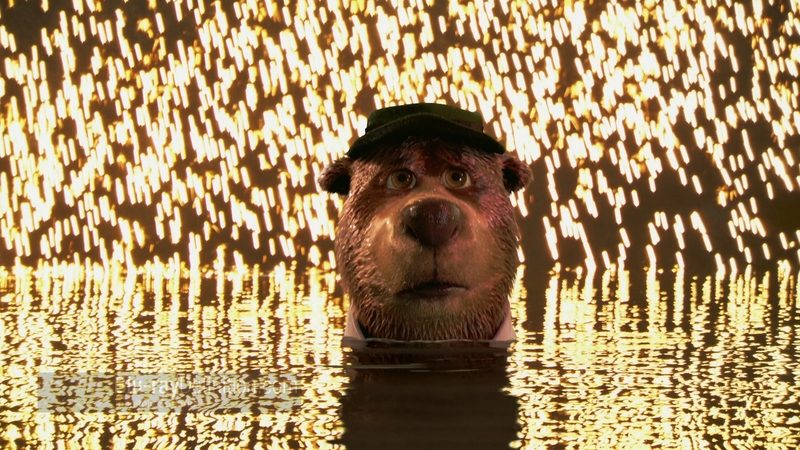 Now, Warner has decided to bring the long gone character back in a live action/CG-animated film. 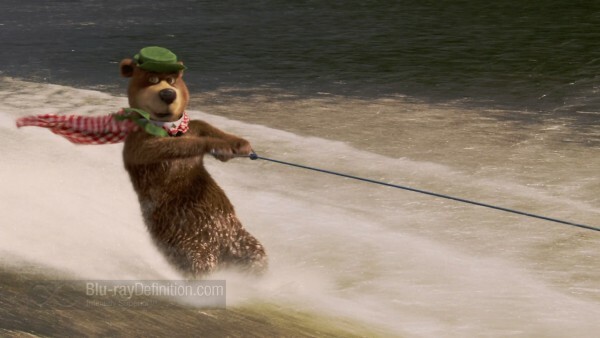 On its initial run in theatres, Yogi Bear barely broke even, and sitting through the film, it’s not difficult to figure out why. The zany, nonsensical antics that made the cartoon a success work against it in this new medium. 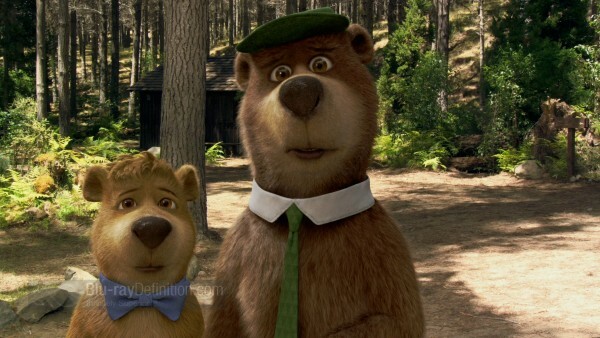 Yogi Bear in theatres may have drawn in a crowd of adults nostalgic for the days of their youth, if there are even that many of us around still, but the feeling probably wore off rather quickly. 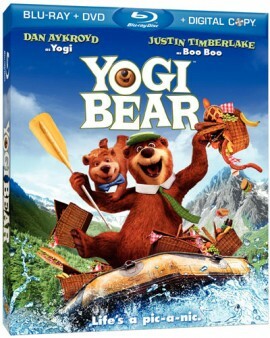 The youngsters around today won’t even know who Yogi is. They may be drawn into the film’s candy-colored landscape and Yogi’s misbehavior, but even kids above a certain age tire quickly when these things are not propped up by any sort of palpable plot. 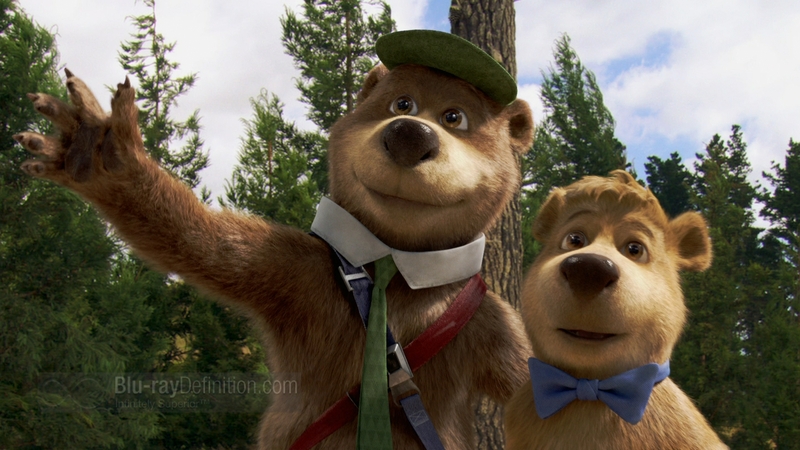 On the positive side, Dan Akroyd (Yogi) and Justin Timberlake (Boo Boo) do excellent work voicing their characters, sounding like the Yogi and Boo Boo of my childhood memories. 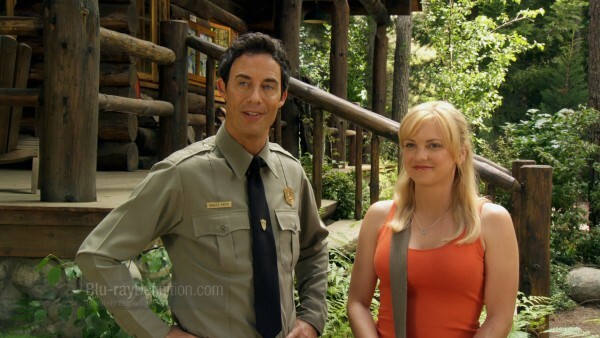 Tom Cavanagh does reasonably well as Ranger Smith, Yogi’s friend and nemesis, Ana Farris is her usual perky and goofy self as Rachel, a documentary filmmaker in Jellystone to do a film on the park’s famous talking bear and as a love interest for Ranger Smith, T.J. Smith is Ranger Jones and Andrew Daly plays Mayor Brown, the man looking to shutdown the park and sell it off to logging interests for his own political gain. Appropriately bright and cartoonish in appearance, Warner’s AVC/MPEG-4 encodement looks pretty clean and detailed although there is a bit of graininess apparent in some places, blacks sometimes look a bit too washed out, and flesh tones are little bit on the red side. The DTS-HD Master Audio 5.1 soundtrack has a good amount of atmospherics in the surround channels with clean dialogue and booms appropriately during the action sequences, just as one would expect from a flick like this. The included interactive “making of” entitled Spending a Day at Jellystone Park is actually quite good and it gets you behind-the-scenes with the animation crew and voice actors for a lighthearted yet in-depth look at the film’s production, but the best extra included on here is the CG-animated Wile E. Coyote short “Rabid Rider”. Yogi Bear Mash-Up (1080p/24; Dolby Digital 5.1; 0:03.3.7) – A comparison of the film to the original Hanna-Barbera cartoon. Are You Smarter Than the Average Bear? – A game of memory. If you’re an adult, you may be tempted to take a look at this for nostalgic reasons, but I’d have to say skip it. If you have younger kids, they may enjoy it, so in that case, it may well be worth owning.